When you look at a gate, you look at it in its entirety. You probably don’t think about the mechanics of it, and what’s important but if you did, you would realise just how important a good gate frame is. A gate frame essentially dictates how long you will have a functioning gate for, the rest is decoration. Everlast Services manufactures the highest-quality gate frames out of our steel fabrication plant in Hoppers Crossing. Every frame we produce is made with the highest standards of craftsmanship, using the highest-grade of steel and designed to last forever. We pair our gate frames with our industry-leading gate design and installation service, to provide our clients with gates that become a design piece and will add serious value to your property. Manufacturing our own gate frames gives us a distinct advantage. Firstly, we are able to find huge savings by keeping everything in-house. We pass all these savings onto our customers to create the most competitive quotes available. It also allows us to maintain strict quality control at each stage, and we back the quality of our frames 100%. We are Australian owned and operated and source all of our materials locally. This allows us to give back to the local community and economy that has given us so much, and provide much-needed support at a time of economic uncertainty. We’ve been manufacturing gate frames for over 20-years. We are experts in what we do, and there’s no type of gate frame we can’t manufacture. Whether it’s a double, single, swing or sliding gate, the frame we produce will ensure it lasts for decades. 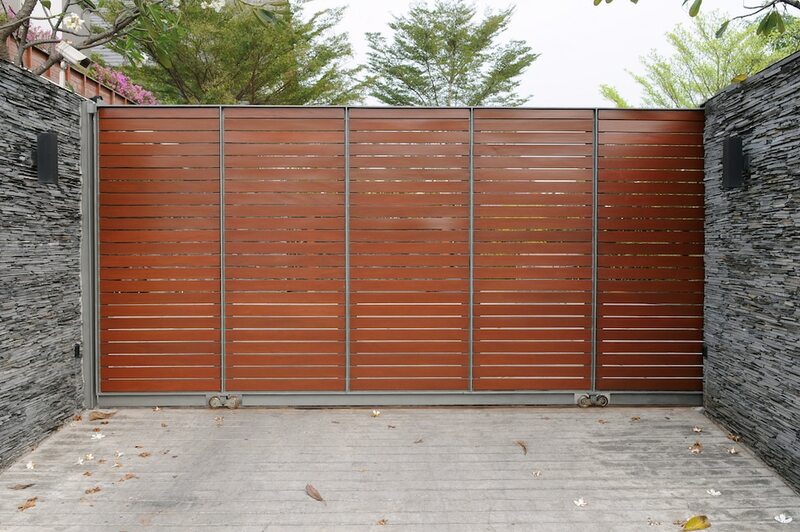 The best part of our service is that the same person that fabricates your gate will install it. This means that you will enjoy the famous Everlast customer-care throughout, and you’ll also enjoy the ease of dealing with one contact and one quote, from conception to installation.